That sounds fantastic! I love the recipe and the photo. Now I want to cook Italian tonight and have something else planned. Oh well. I will survive. What an interesting ingredient. 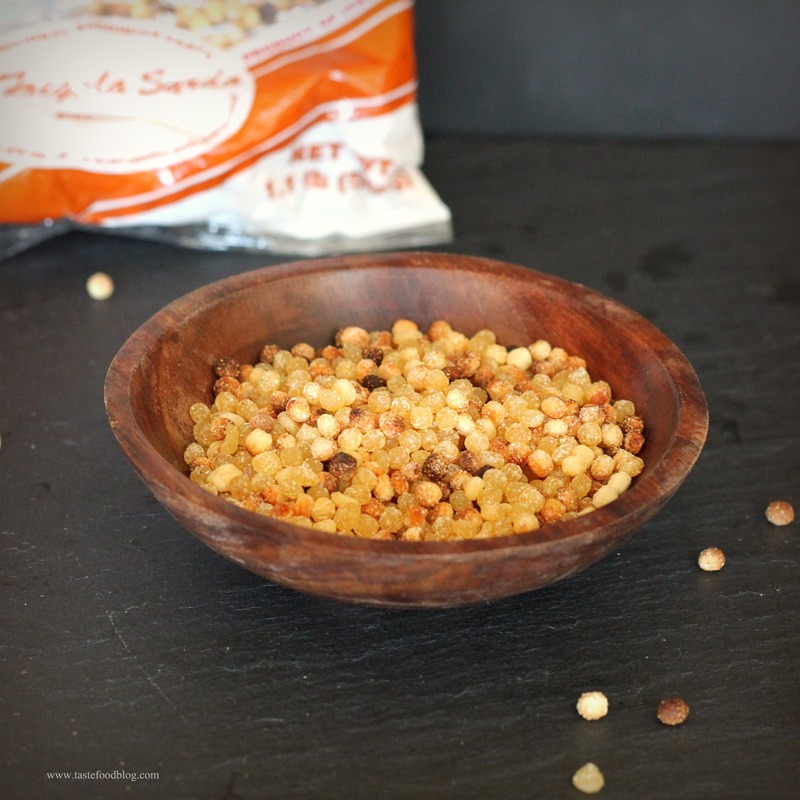 I’ve read about Fregola before but never tried them. You have inspired me to seek them out. Never tried it but now I’m certain to make some. We live close to Little Italy so I will search there. So eager to cook now that vacation is over! Hope you had a wonderful vacation, Liz. Interesting! Hadn’t heard of this pasta type but look forward to tracking some down soon. Thanks for a consistently wonderful blog! You’re welcome. Thanks so much for your comment! This is interesting! I’ve never heard of fregola, but your preparation looks delicious. Can’t wait to try this! Oh yes! We enjoyed this last summer when we vacationed in Sardinia! I have to try and find the fregola! They sound like I would love them – a nutty texture in a pasta. Oh I think I would be in heaven with a little olive oil and lemon and some good cheese sprinkled over the top. Yum! this kind of pasta. I love pasta, cant wait to try it. I used to own a pasta manufacturing company, but I don’t know this pasta. You stumped me. Where in Marin can I buy it? I love fregola sarda, the first time I cooked it I messed it up by overcooking, but the second time was perfect. I am sorry to say I have never heard of Fregola. So sad because this looks amazingly delicious. I am hoping I can find it around here. And, the combination of zest and chili flakes. Thanks for posting this! I’ve never tried it but I will look for it now!! I love this kind of dish… so healthy, flavorful, and colorful! I have NEVER cooked fregola, but am a huge fan of Israeli couscous so I know I’ll just love it. Garlic, lemon and asparagus? Yes, please. 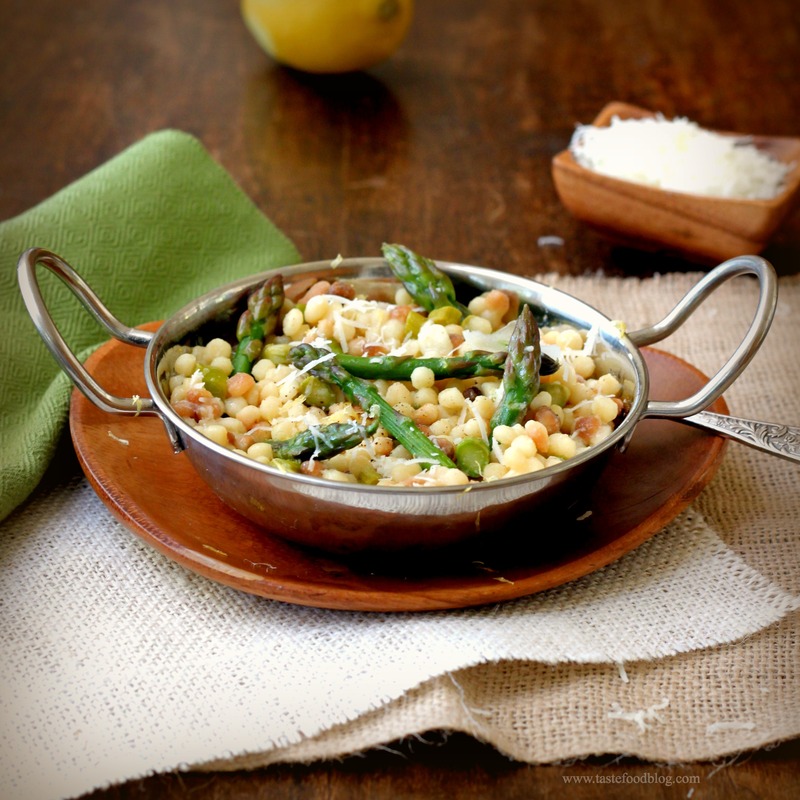 I have never tried Fregola, but now must! Cookin’ Canuck and I would love if you linked up this recipe & any 2 other side dishes in this weeks Get Grillin’ event posted on both of our blogs. I have never tried fregola but you are inspiring me to seek some out. This looks wonderful.